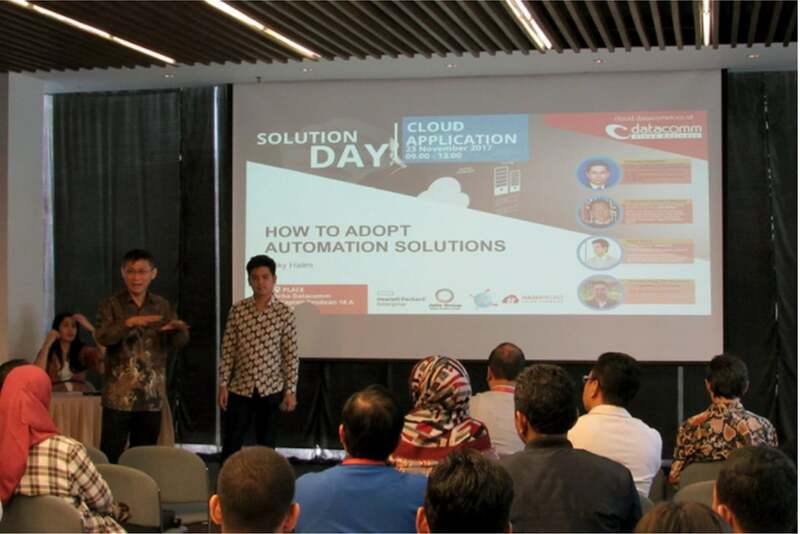 On November 23, 2017, HashMicro had the opportunity to participate in an event called Solution Day: Cloud Applications, hosted by Datacomm Cloud Business, a Cloud service provider that already has 25 years of experience in the world in Indonesia. 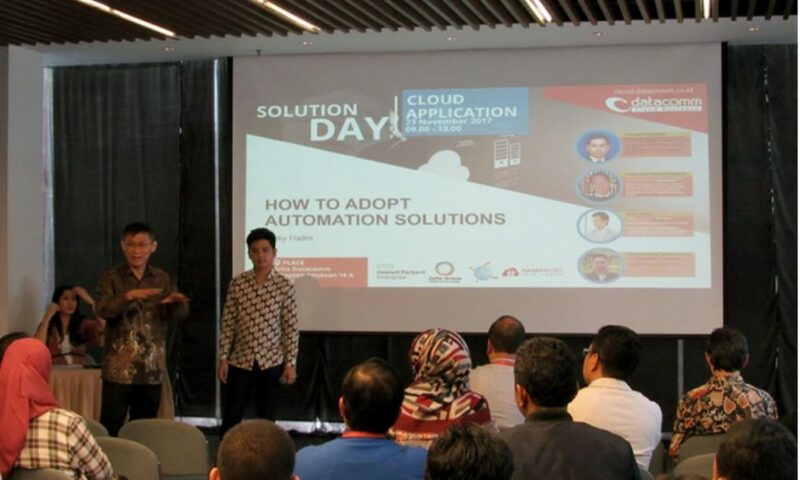 The event aimed to provide cloud-based solutions for various companies in Indonesia. In the forum, HashMicro’s Country Manager, Ricky Halim, talked about Cloud Solutions for Business Growth. 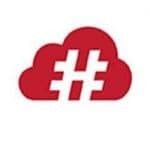 Through the discussion, HashMicro aimed to introduce Cloud Computing to business owners in Indonesia in order to grow their business more efficiently and effectively so that they can help advance the economy of the country. The participants seemed very enthusiastic about the discussions, it could be seen from a lot of feedbacks and questions that they shared and they seemed really interested in learning more about the solutions offered by Cloud services. There were also other interesting topics delivered during the event such as Running Infrastructure Like A Cloud, How to Make Your Hybrid IT Simple and Cost Effective by Frannata Suryanto as Software Defined and Cloud Group Country Manager from Hewlett Packard Enterprise, Mobile Technology Trends by Franciscus Chandra Pawitra as Associate Director of Telecom and New Business Acquisition from Jatis Mobile, and then ended very well by Chandra Fung Tjiarakusuma CEO of Fungsitama Cipta Teknologi that talked about Cloud-based Sales Productivity Tools. Through Solution Day, we hope to make a positive contribution to the progress of the IT industry and Cloud Computing technology in Indonesia and help companies in implementing it in the future.